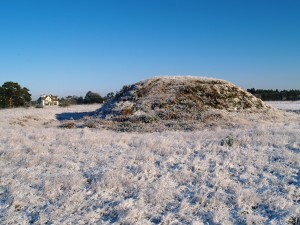 THE SUTTON HOO SOCIETY, a registered charity, was formed to support the work of the Sutton Hoo Research Project (director Prof. Martin Carver, University of York). An archaeological excavation and research programme was undertaken between 1983 and 1992. Part of the Society’s early role was to guide visitors round the excavation. Between 1992 – 2001, the SHS continued to watch over the site, offering guided tours at weekends. Then the National Trust acquired the site and began to develop it as a major historical and tourist attraction. It was opened to the public by Seamus Heaney in 2001. Today the Sutton Hoo Society trains the Guides, who offer burial site tours and Exhibition Hall talks. We work alongside the National Trust to promote interest in this unique place, and to tell the stories of Anglo-Saxon archaeology and history here. The Society hosts Conferences; holds an annual Basil Brown Memorial Lecture; organises Society trips to places of relevant interest; issues twice-yearly prestigious publications of ‘Saxon’ (see menu bar). We have also funded relevant archaeological projects; supported research and academic studies, and helped the National Trust to acquire quality replicas of the treasure from the 1939 dig. Copyright © 2019 Sutton Hoo Society. All rights reserved.